Now that's something you don't see every day. 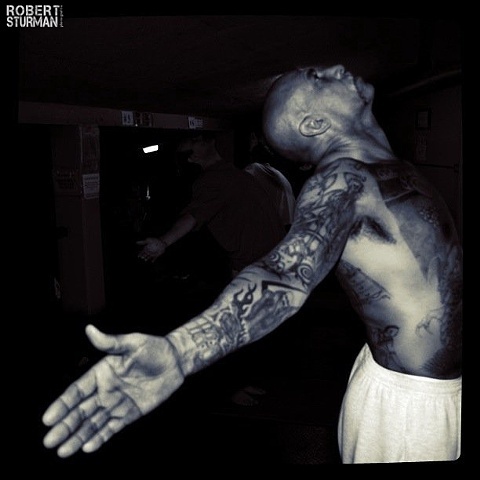 James Fox, the founder of the The Prison Yoga Project teaches yoga at one of America's most violent penitentiaries, San Quentin State Prison (and others). 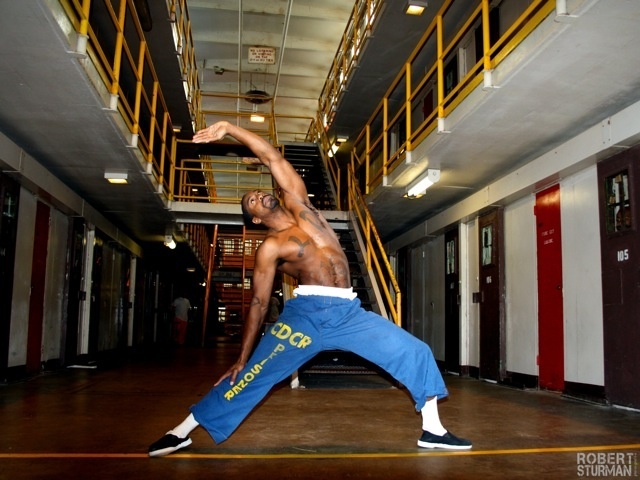 Since 2002 Fox has been helping inmates find their inner zen and self-control through yoga. The practice of self-awareness is aimed to lead to more non-reactivity and self-acceptance. Judging from the photos that Robert Sturman took during some of the sessions, practicing yoga does seem to have a positive impact. ''Yoga and its emphasis on the power of a single breath has promoted for me a respect for life and a profound realization of the destructive force of violence.'' - S.L. ''I have a strengthened identity with self and a sense of something universal. It has given me the ability to affect my own well being and peace without dependency upon someone else or chemical substance.'' - T.W. ''I have experienced decreased anxiety and improved ability to deal with stress. I have also been able to relieve back pain and in general manage pain and injuries.'' - S.L. We say: Thumbs up for yoga and thumbs up for people like James Fox and Robert Sturman for raising awareness and using yoga to achieve something awesome. You can find more photos here. If you want to support this project check out the website of the Prison Project. PS: You can even buy t-shirts!